A regular check of your equipment with traceable calibration equipment is essential. You cannot afford to cut corners when patient safety is at stake and regulatory agencies are knocking at your door. With unmatched credentials and expertise, QRS Calibration, Inc’s Metrology/Service Center and its On-Site capabilities provide a measure of safety and assurance to each user of the equipment. QRS Calibrations, Inc provides convenient and affordable onsite calibrations of medical, electrical and general test equipment. 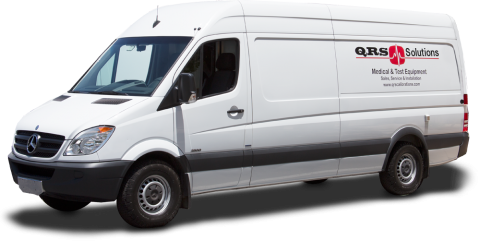 Using our state-of-the-art mobile metrology lab, our technicians will service your equipment at your facility and return it the same day – calibrated, tested, cleaned and ready to use. 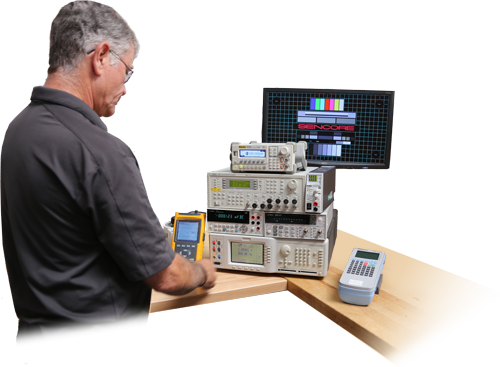 Test equipment can also be shipped to us and calibrated in our metrology calibrations labs. We strive to provide a 7-day turn-around time for calibration and repair services, and we offer express service upon request. We use computerized tracking of all instruments throughout the calibration and repair process within the metrology lab and On-Site work, and verify performance with electronic calibration. We can make mechanical adjustments as needed, and adjust internal electronics for direct read, so no correction is required. Electronic records are maintained and backed-up at no charge. We track product histories to assure long-term product stability. We also provide product evaluations and As-Found Data, including out-of-tolerance conditions, upon request. We can send computer-generated calibration due reminder notices. QRS Calibrations provides Certificates of Calibration at no additional cost, in PDF format or a hard copy at your request. We store all of our customer’s certificates for 7 years, should you need a replacement copy. Along with calibrations, we can provide equipment installation, product and technology training, preventive maintenance to maximize up time, and repair of defective systems. Read more about our repair, installation, maintenance and training services. We also offer equipment rental and leasing services. QRS Calibrations, Inc. specializes in servicing the medical industry in calibrations and metrology services as well as repair and maintenance of biomedical test equipment. We are committed to providing quality service and product to meet the needs of hospitals, manufacturers, and biomedical supporting companies. We are committed to meeting and exceeding customer requirements by adhering to rigorous quality procedures, effective supply chain management and continuous improvement. QRS has established and implemented a continuous process of improving the effectiveness of its Quality Management System (QMS). These processes are in accordance with the policies stated in its Quality Manual and in their sequence and interaction, conforming to the requirements of ISO 9001:2015 and the intent of ISO 17025:2005. The QRS Calibrations service center is equipped with the necessary instruments, standards, procedures, and personnel to maintain our products at peak performance. Proper use of measurement standards is carefully and continually monitored through a corporate controlled audit program.